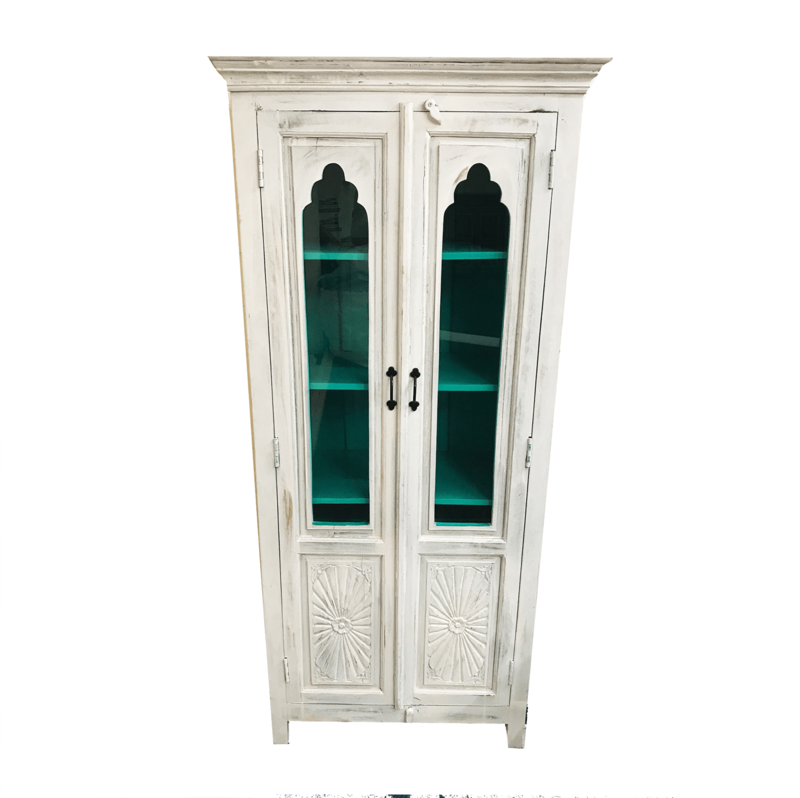 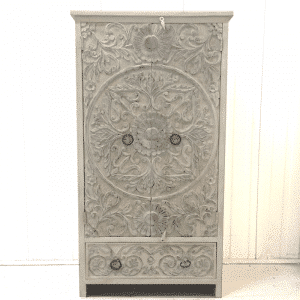 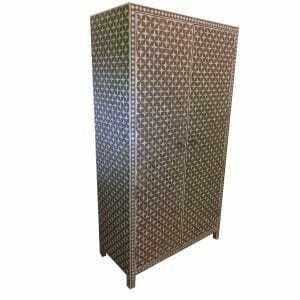 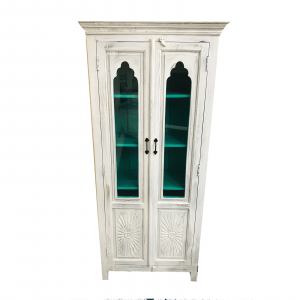 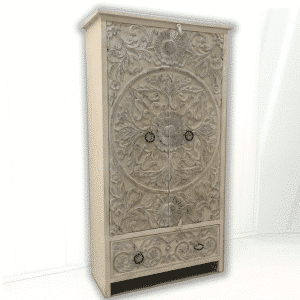 This tall and elegant Carved White glass fronted cupboard is new to our range of carved furniture. 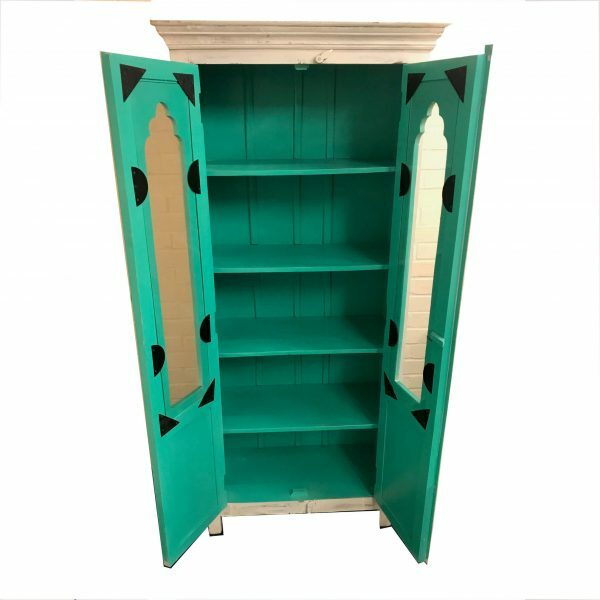 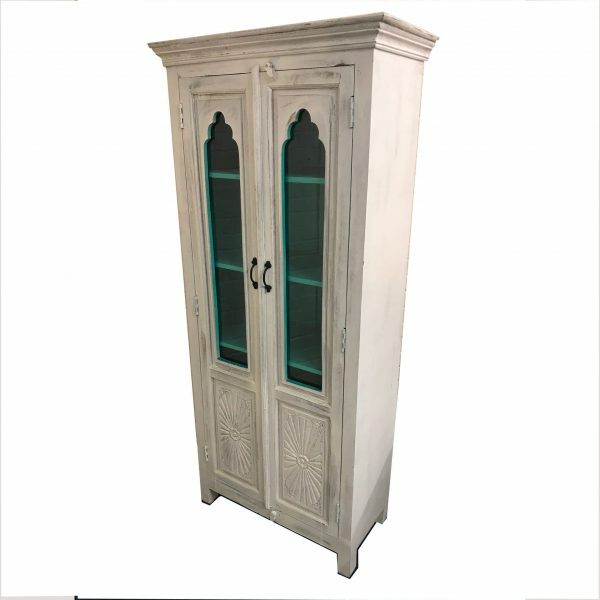 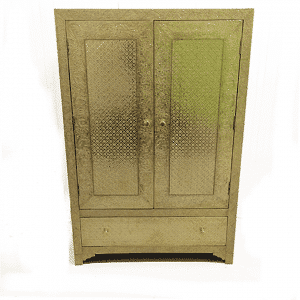 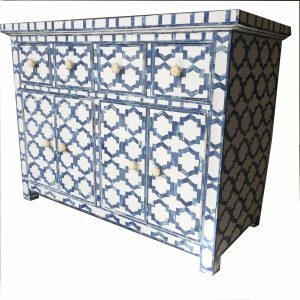 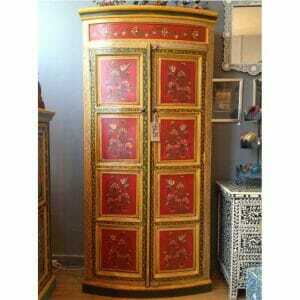 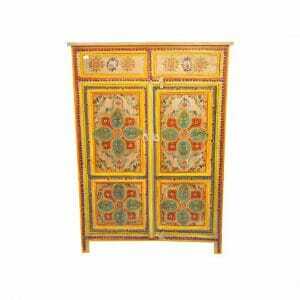 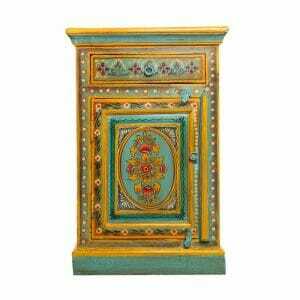 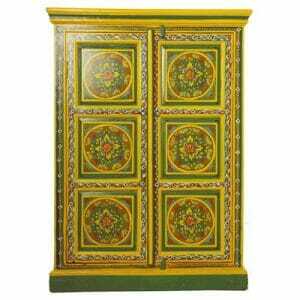 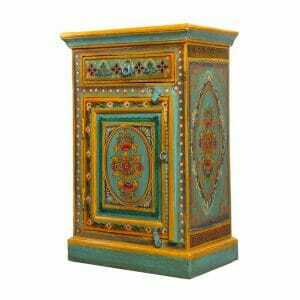 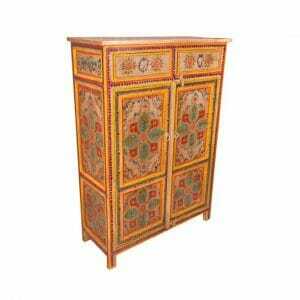 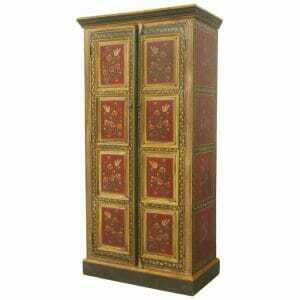 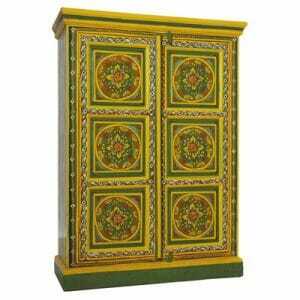 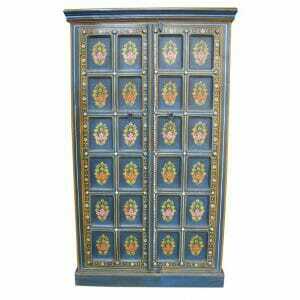 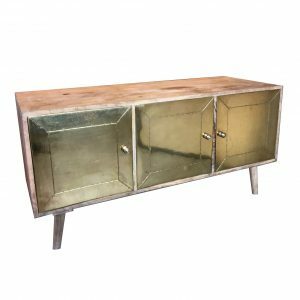 The slightly distressed white paint work and the carved panels on the front give this Indian cupboard the look of soft old fashioned Oriental design. 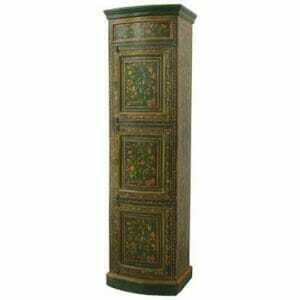 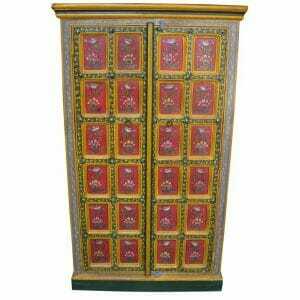 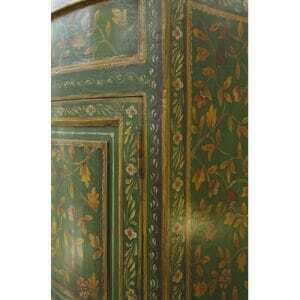 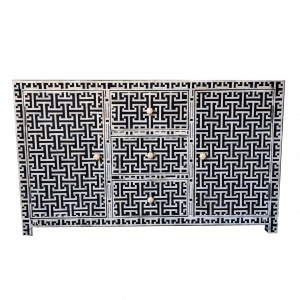 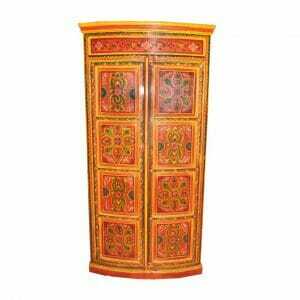 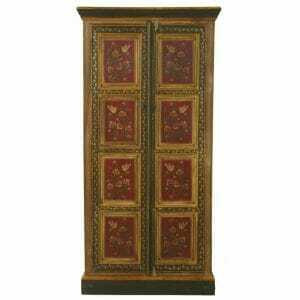 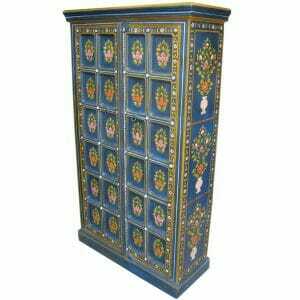 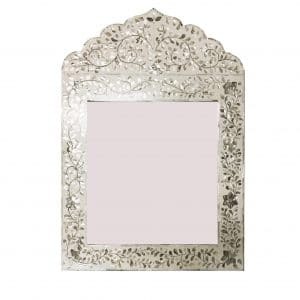 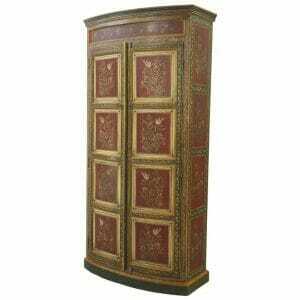 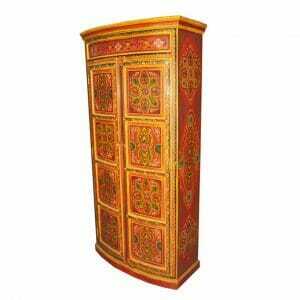 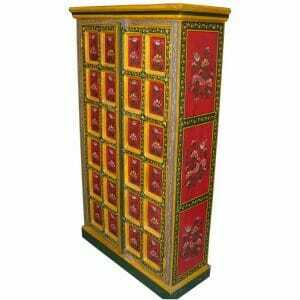 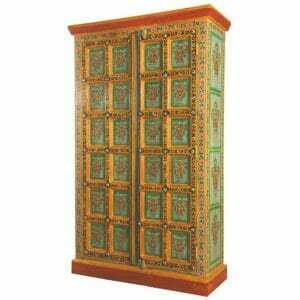 The carved panel tops that hold the glass conjure images of Rajasthani interiors. 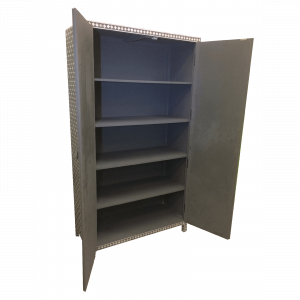 The interior shelves are painted in a vibrant blue green shade. You can display your table linens, fine china and crockery within the spacious cupboard section.